Comply with the following to avoid serious personal injury and critical accidents. 20.1 1990 or other applicable safety standards. As and when these standards are revised, the updated edition should be followed. Power should be switched off before installation, removal, lubrication or service of a chain system. Do not attempt to connect or disconnect chain unless the drive mechanism is well understood. 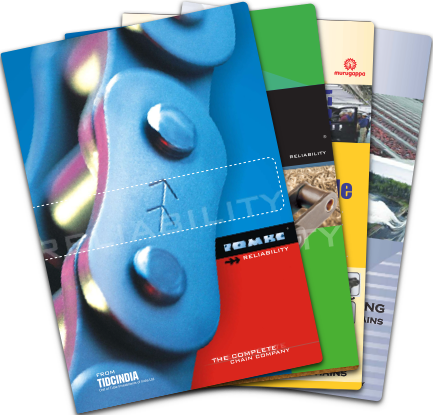 Chain and sprocket selection should be made in accordance with our horsepower rating chart or our Recommendations. Regular maintenance is required for all chain drives. Connecting link should be attached as illustrated. Plating, welding and other operations may reduce strength and can cause breakage. Consult our engineers for recommendation. Do not re-use disassembled chain parts. Do not use reworked chain or join reworked chain with a new chain. Never use a new chain on an old sprocket. Replace chains and sprockets together.